In 1984, the biggest British motorcycle maker by John Bloor, whose parent company went to Triumph Engineering Receivership. The new company Bonneville Coventry Limited issued the record of motorcycle production of Triumph from 1902. During the first 12 months of June 2012, Triumph sold 49,000 motorcycles. When Triumph Engineering moved to the reception in 1983, John Bloor purchased the name and manufacturing rights from the government receiver, the new company’s manufacturing plants and designs were old and unable to compete against Japanese, so Bloor was decided to launch Triumph again. Initially, the production of Old Booneville was continued under licensing by Les Harris of racing parts, in Newton Abbott, Devon to reduce the gap between the end of the old company and the start of the new company. For five years from 1983, about 14 were made in one week in crop production. In the United States, due to problems with liability insurance, Harris Bonneville was never imported. In 1985, Triumph purchased the first set of equipment to start work on his new prototype models. In 1987, they completed their first engine. In 1988, Blur financed the construction of a new factory on 10 acres of land in Hinkley, Leicestershire. 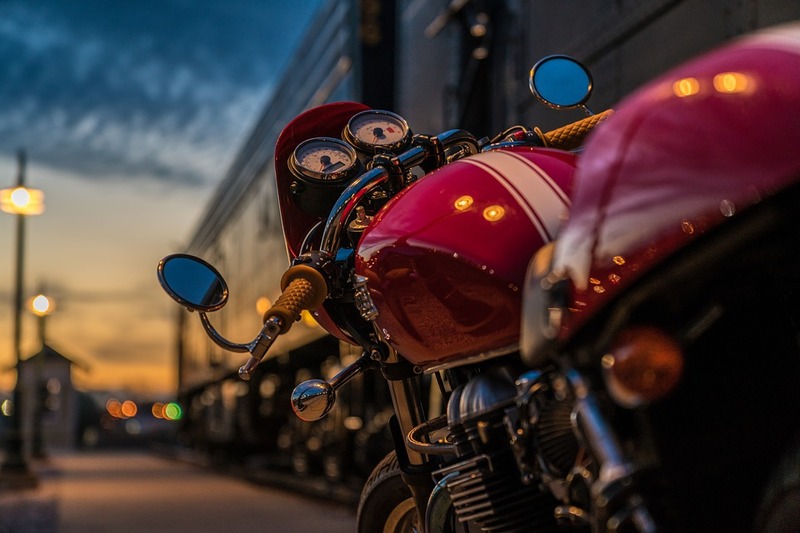 Growth in production capacity at the same time, Blur established a new network of export distributors, he created the first two subsidiary companies, Triumph Deutschland GmbH and Triumph France SA, in 1994, Blur created Triumph Motorcycle America Limited. A series of 750 ccs and 900 cc triple-cylinder bikes and 1000 cc and 1200 cc four-cylinder bikes were introduced in the September 1990 Cologne Motorcycle Show. Motorcycles used famous model names from the glory days of Meriden Triumph and were made available to the public between March and September 1991. All used a modular liquid-cooled DOHC engine design in a normal large diameter steel spinal cord frame. Modular design was to ensure that different types of models can be offered, as long as the production costs will not be in control. An idea was originally put in air-cooled form by Bert Hopwood in the early 1970s but was not then implemented by the BSA-Triumph Company. All were remarkably smooth running. Three-cylinder models were equipped with an opposite-rotating balance shaft mounted in front of the engine. Contemporary road trials mentioned the robustness and lubricity of performance in the form of positivity, but the weight of the machines was in the form of negative for brand new machines manufactured from a completely new concern, there were notable initial problems, it was an unsafe oil There was a long-term problem with pressure switch and starter. The first cosmetic finish on the machines was not simple and very strong. Adventure and touring, Trophy SE ABS, Tiger 800, Trophy, Cruisers America & Speed master, Rocket III, Thunderbird, Modern Classics, Bonneville, Bonneville T120, Street Twin, Street Scrambler, Thruxton, Scrambler, Roadsters and super-sports, Daytona 675, Speed Triple and Street Triple.